Dats Photography Portfolio. a collection of Calgary Photographer, Dats Photography. Photos taken from Dean's Alberta landscape trips to The Rocky Mountains and the national parks with in the rocky mountains. Parks like Banff National Park,Jasper Notional Park, Yoho National Park,as well as provincial parks such as Kananaskis Country and Canmore,Blue rock Wild land,Sheep River Provincial Park,Peter Lougheed Provincial Park and the Bow Valley Wild land as well as other locations to come as Alberta landscape photographer Dats Photography has the opportunities to visit explore more great Alberta Landscapes locations. Calgary Photographer Dats Photography has added a few wildlife and still life photos to his Portfolio in order to give you the viewer a more well rounded look at my body of work. All of Calgary Photographer Dats Photography are for sale as stock images. when I sell a print of a stock image fifty percent of the proceeds goes to funding Dean’s participation in an Optical Mission to a third world country to give eyeglasses to the visual impaired people of the regain. 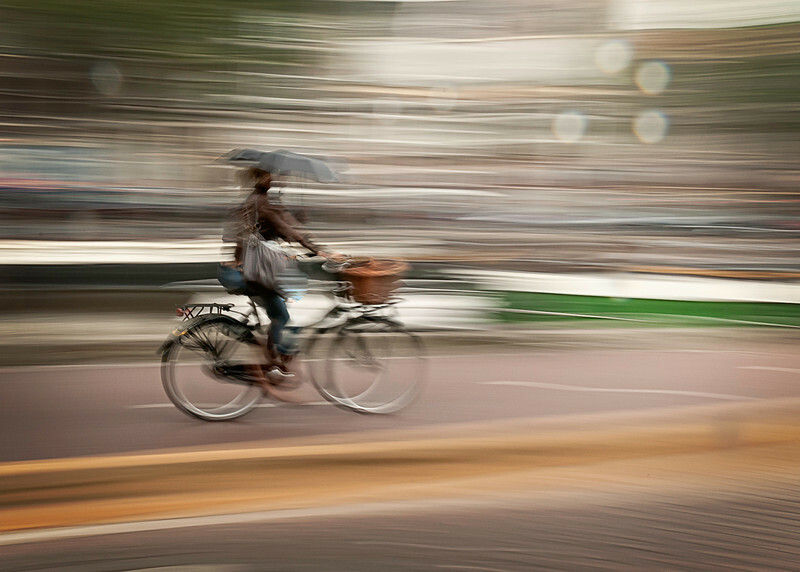 A young woman is rding a red bicycle in the city of Amsterdam, Holland. This is a very typical scene in Amsterdam since riding a bicycle is the most common way to get around there. Intentional motion blur.